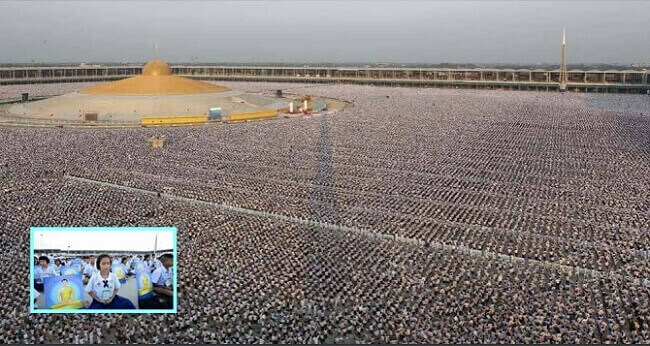 In one of the most remarkable gatherings in modern day history, more than 5000 schools have come together, boasting roughly 1 million ‪‎children, all meditating for world ‪‎peace at the Phra Shammakaya Temple of ‪‎Thailand‬. 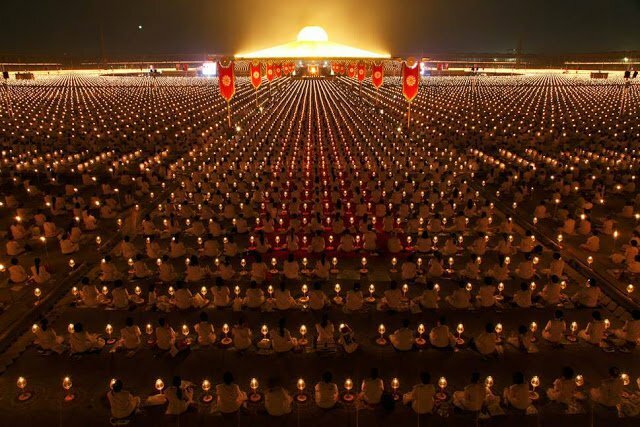 Meditation is a power that remains largely unexplored. Sure, science is beginning to understand some of its many benefits, but we have yet to discover its full potential. Some believe it is a direct form of communication with the Source, or the root cause of creation which some would refer to as being “God.” What we do know for sure, is that our bodies generate electro-magnetic energy from both the brain and heart areas, and this performs most effectively when we are in a deep state of meditation and inner peace. We get so caught up in this materialistic physical world that we forget it is a product of the invisible world that we don't see. At most basic level, as any quantum physicist will tell you, everything really is just energy. What this means is we have the power to influence the world in which we live since everything is made up of electro magnetic energy and we literally give off this type of invisible creative power. It's really quite mind blowing when one dedicates some deep thought about it. Inner peace gives birth to outer peace. The dark forces of our world constantly promote fear, stress, anxiety, materialism, competition and anything that can keep our power to create a better environment and state of being weak. Each human being has the potential of a Gandhi, a Martin Luther King Jr, and so on, but we are conditioned to believe in limitation to the point that we enforce these limitations onto our own minds. The key is to start working on ourselves inside. It doesn't mean we should just meditate and not take any other actions, but it means that this is where we must start. Without peace inside, we can never bring peace in the outside world.